AOI Pro. is honored to announce that Japanese director Hirokazu Kore-eda's latest feature film Shoplifters, financed and produced by AOI Pro., has won the most prestigious Palme d'Or at the 2018 Cannes International Film Festival. 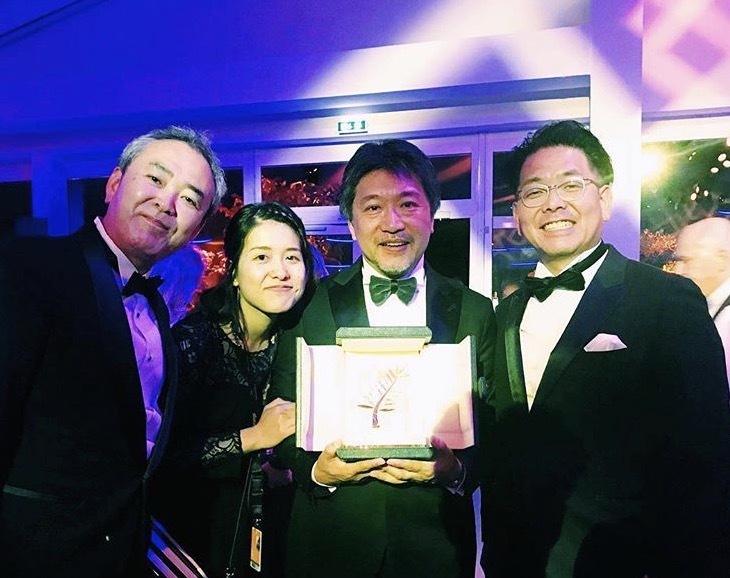 This is the first time in 21 years for a Japanese film to win the Palme d'Or at the Cannes International Film Festival, following Kore-eda's After the Storm which was screened in the "Un Certain Regard” line-up in 2016, and the first one to win Palme d'Or. "This was a film which moved us all deeply. We fell in love with it." followed director Denis Villeneuve. "The film is very graceful. And elegant. And deep. And the screenplay touched us all to no end." Shoplifters released on June 8 in Japan. For more details, click PDF.